Russell Brand is heading back to Vegas, and he's taking a lithe young dancer with him. Brand and "Footloose" star Julianne Hough will co-star in an as yet untitled film written by Diablo Cody, who will also be directing her first feature film. The comedy follows a sheltered young woman (Hough) who loses her faith after a plane crash and decides to go to Las Vegas to experience the wild side of life. On her journey, she meets an unlikely companion (Brand) who inadvertently helps her find her true self. Cody of course came out of nowhere to write the 2007 indie hit "Juno," and has since then written a flop, "Jennifer's Body," created a popular TV series, "The United States of Tara," and has another film "Young Adult," on the way Dec. 16. We would hope that a women with her proven, if slightly checkered track record, could pull a little better talent for her film, no? Brand was on the verge of blowing up following "Forgetting Sarah Marshall," but his "Arthur" remake was a failure critically and commercially, and "Hop" was a kid-friendly cartoon that barely crossed $100 million. And Hough is a very cute and talented women, but the idea she's got the chops to handle the kind of rapid-fire dialogue that Cody favors seems dubious. But, hey, Cody's had a tough enough month defending herselffrom Bobcat Goldthwait, and who had ever thought twice about Ellen Page before "Juno"? 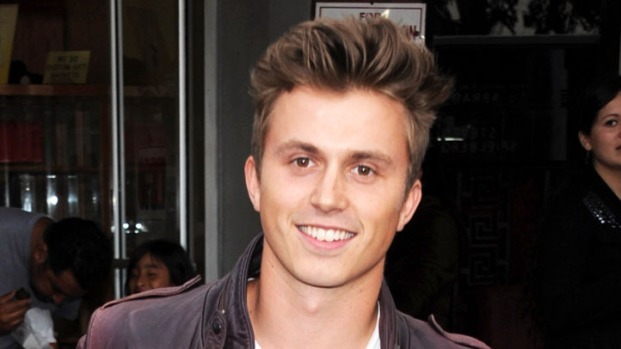 He might be the leading man for the "Footloose" reboot, but Kenny Wormald sets the record straight regarding rumors that he will be joining the remake of another '80s classic -- "Dirty Dancing."